Alkan H, Kilic M (2014). Forests and forestry organizations from the forest villagers’ perspective: a case study from Turkey. iForest 7: 240-247. The forest villages of Turkey comprise approximately 11% of the population, where people live in poverty, and have low welfare levels due to insufficient income. The livelihood of many villagers is integrally tied to the forest, and the communities have varied expectations and demands from forest resources. In recent years, local expectations have placed substantial pressures on forests resources. Therefore, the opinions, expectations, and perceptions of forest villagers in regards to forest resources are vital in forest management. Furthermore, the views from the forestry organization that manages natural resources, and forestry strategies, policies, and practices are integral to ensure local villager satisfaction, and participation in natural resource conservation objectives. The aims of this study were to evaluate villagers’ opinions regarding the surrounding forests and forestry organizations, quantify the residents’ satisfaction level with life in the forest village, and determine the influential factors responsible for the residents’ responses. Forest villagers (1059 people) living in the Sivas Directorate of Forest District participated in the study, and a questionnaire was administered in 11 villages within a field work framework to serve as a case study. Results indicated the region has very limited alternative livelihood sources, and forestry is the leading regional source of income for villagers. Therefore, residents from all 11 villages are dependent on forest resources. The questionnaire showed employment facilities were the most important forest benefits. Overall, the villagers were satisfied with available forestry jobs and other associated opportunities, however wages were considered insufficient, and workers expressed expectations for significant changes in labor safety conditions. In addition, certain prohibitions and restrictions placed on regional natural resources prevent residents from previous land-use practices, which adversely affected local opinions towards forests and forestry organizations. For example, strict forest protection measures will make obsolete the nomadic livestock breeding practices of some local villagers. 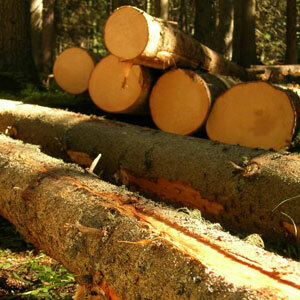 This is the most common complaint directed at forestry activities, and will have an impact on the local income levels. Rural household and forest: an evolution of household’s dependency on community forest in Nepal. Journal of Forest Research 1: 33-44. Local perceptions towards biological conservation in the community of Villa Velha, Pernombuco Brazil. Interciencia 30: 460-465. Negative impacts of rural settlements on natural resources in the protected areas: an example from Kovada Lake National Park. Journal of Environmental Biology 3: 363-372. Impacts of nomadic livestock of strict nature protect efforts: an example from Isparta, Egirdir Region, Turkey. Journal of Animal and Veterinary Advances 8: 1527-1534. Assessment of primary factors causing positive or negative local perceptions on protected areas. Journal of Environmental Engineering and Landscape Management 1: 20-27. Conflicts in benefits from sustainable natural resources management: two diverse examples from Turkey. Journal of Environmental Biology 31: 87-96. Analytical approach for analyzing and providing solutions for the conflicts among stakeholders across Turkey. Forest Policy and Economic 9: 219-236. Farmers’ perceptions towards forests: a case study from Haiti. Forest Policy and Economic 6: 704-712. Activity choice, labor allocation, and forest use in Malawi. Land Economics 4: 503-517. Forest and village relations. Working Group Preliminary Report, Forestry Council, Ankara, Turkey, pp.140-172. The role of women in rural tourism, the sample of Gaziler Village (Bardiz), Erzurum, Turkey. Journal of Food, Agriculture and Environment 2: 1314-1319. SPSS for introductory statistic: use and interpretation (2nd edn). Lawrence Erlbaum Associates, Mahwah, NJ, USA, pp. 113. Attitudes and perceptions of rural people towards forest protection within the scope of participatory, forest management: a case study from Artvin, Turkey. African Journal of Agricultural Research 12: 1399-1411. Perceptions and preferences of the local population in Eastern Macedonia and Thrace National Park in Greece. Landscape and Urban Planning 77:1-16. Joint forest management in India: an attitudinal analysis of stakeholders. Resources Conservation and Recycling 2: 345-354. Classification of traditional agroforestry practices in Turkey. International Journal of Natural and Engineering Sciences 3: 41-48. Intervention to the misuse of land by the forest villages: a case study from Turkey. Ekoloji 68: 1-10. Local people, nature conservation and tourism in Northeastern Finland. The Resilience Alliance Publication, Ecology and Society 1: 8-24. Turkish Statistical Institute. Web Site. Forest, environmental incomes and the rural poor. Forest Policy and Economic 9: 869-879. Statistical analysis of cross-tabs (chapt. 5). University of California, Irvine, CA, USA, pp. 1-38. Sustaining the world’s forests: Managing competing demands for a vital resource. Web site.